Segway is an established brand which is famous for releasing the Segway PT (Personal Transporter) in the early 2000’s. In 2015 Ninebot managed to acquire Segway with the help of their biggest financial backer, Xiaomi, and since then have been producing a range of electric scooters. The ES2 is the successor to the ES1, and is minimalist and uncomplicated. 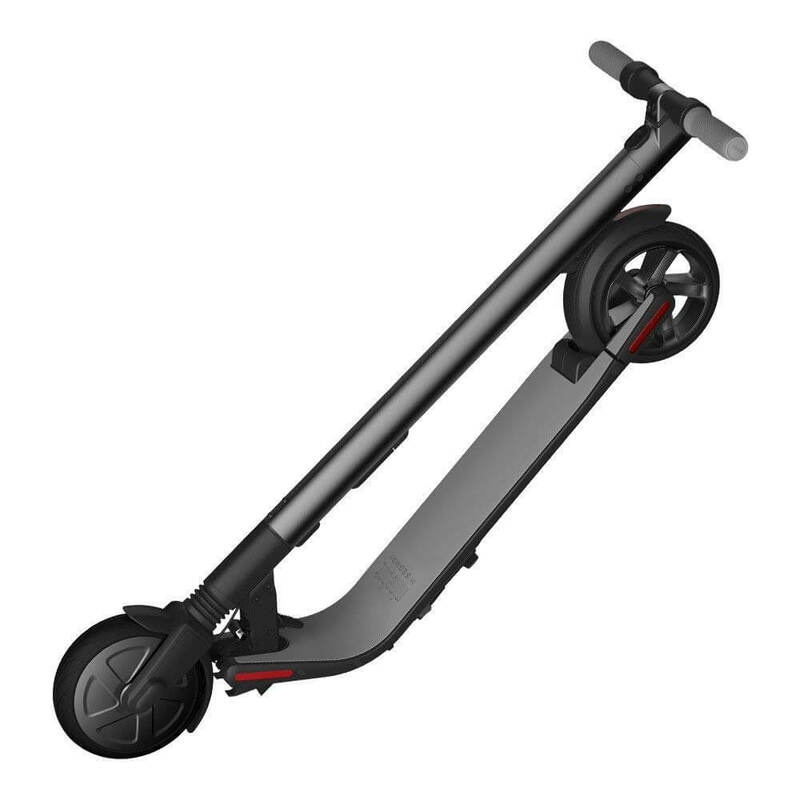 From the look of it, it is definitely a city scooter, and has often been pitched against Xiaomi’s city scooter, the M365 or Mi. So let’s dive into the overview and specs. 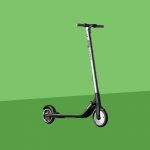 If you’re interested in other Segway products we’ve recently compiled a list of the prices of all of Segway’s current lineup. The Ninebot ES2 is a compact, lightweight electric scooter that would do well in a city environment. It’s about as portable as an electric scooter can get, it has a simple and effective one-click folding system and will please anyone who doesn’t like to see large battery packs strapped to the side of their scooter. 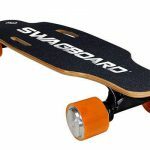 With a 300 Watt hub motor it can travel up to 15.5 mph (25km/h), and has a range of 15 miles. The ES2 has great night visibility, with bright lights on the front, rear and sides of the scooter, and has front and rear shock absorbers that help to reduce bumps on your journey. 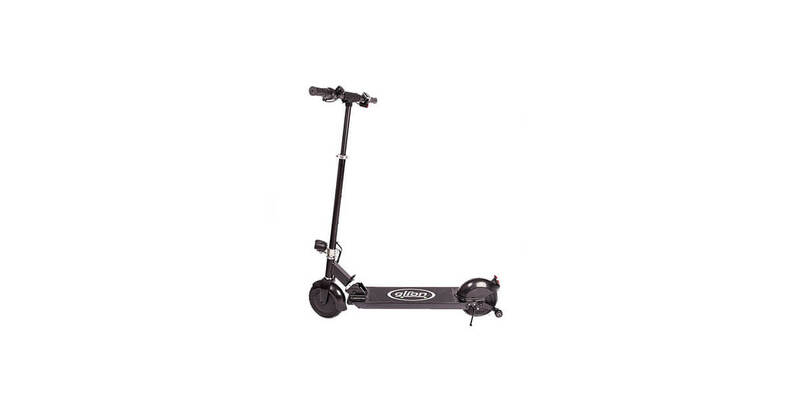 It’s overall a top quality e-scooter at a reasonable price. The Ninebot ES2 is a small scooter that’s packed full of fun features that enhance your enjoyment and safety while riding. You have the choice to upgrade your ES2 with an additional battery, this will essentially take your scooter to the next level in terms of power and range. The maximum speed will be increased to 18.6 mph (30 km/h) and your range to 28 miles (45 km). 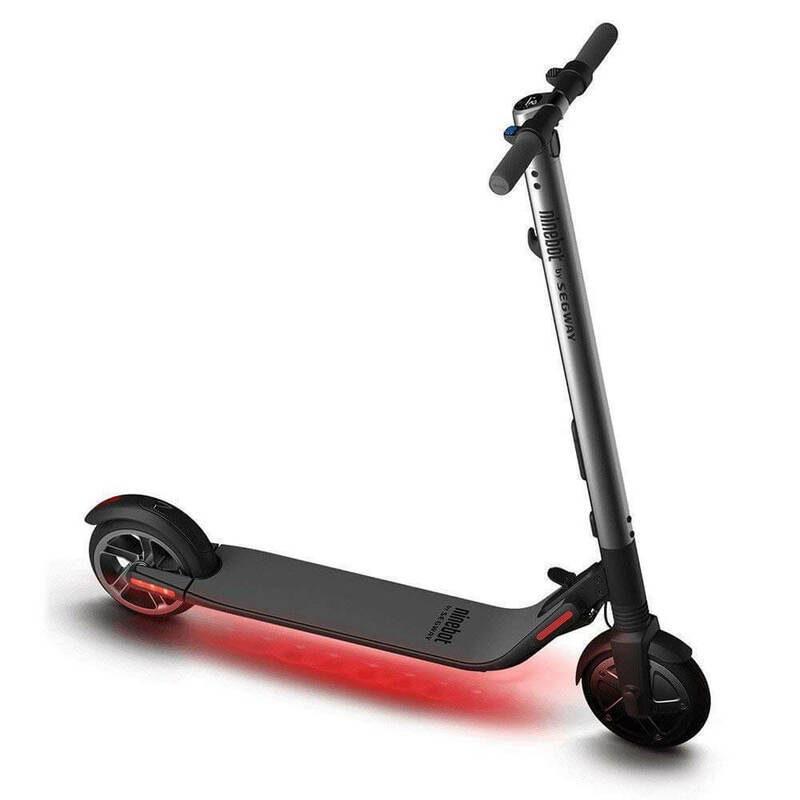 The battery sits on the neck of the scooter with LED lights representing the power remaining, it’s black and is relatively inconspicuous, incorporating with the T-bar well. Segway have developed a Ninebot app that will connect to your phone via bluetooth and provide useful information. This app contains a whole host of features such as diagnostics and statistics about your ride, and the ability to manage your speed limit and cruise control. The bluetooth app also allows you to control the lighting surrounding the deck, giving you the choice between several different colors and lighting effects. When you’re done with your journey you can use the app to lock the wheels, and if anyone attempts to steal it the anti-theft feature will be activated and alarm will go off. The ES2 has an LED display situated at the center of the handlebars, this outputs speed, battery life, bluetooth connectivity and power mode. The power button below this display also controls the LED headlight and taillight. 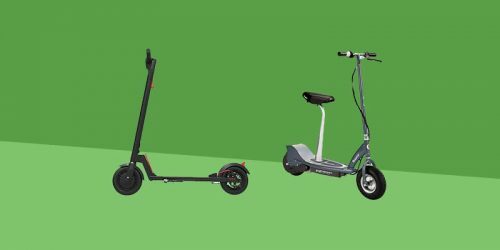 The ES2 is a minimalist electric scooter that works great for anyone who needs something that can easily be stored away. If you take a look at it, you’ll be hard pressed to find any obvious signs that it’s an electric scooter as opposed to a very respectable kick scooter. 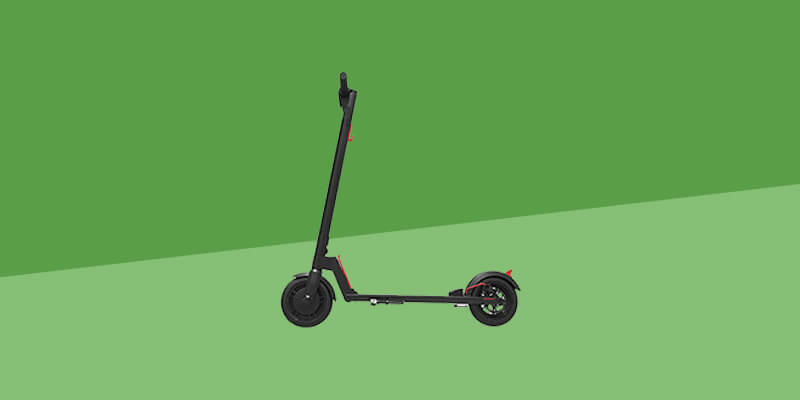 The battery is stored inside the neck of the scooter, and the additional battery can be clipped onto the t-bar. 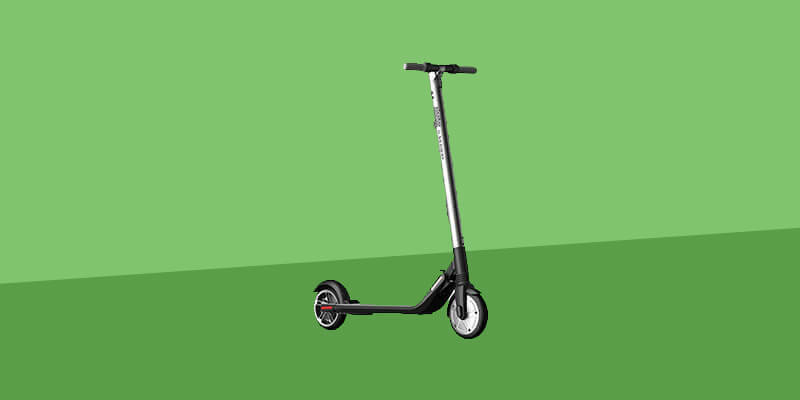 The scooter has a foot brake for the rear wheel, and an electronic brake on the handlebars for the front wheel which houses the hub motor. 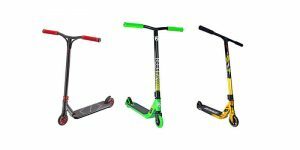 The scooter has a simple and fast one-click folding system which can be activated by stepping on the lever at the base of the t-bar, and it weighs a reasonable 27 lbs so you can pick it up and carry it when needed, but not for long periods of time. 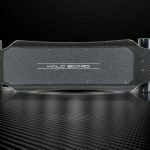 The handlebars are rubber and have great grip, as does the deck which is covered in an anti-slip material so you won’t have to worry about feeling unstable while riding. The front and rear wheels are 8” and 7.5” respectively, and they look like they were designed for asphalt and city streets – they’re solid with a tread pattern on them to give them more traction and grip with the ground. Segway haven’t skimped on night visibility, giving their scooter a ton of bright LED lights that can be found on the front, sides and rear of the ES2. They’ve added front and rear shock absorbers for maximum comfort when riding. The ES2 will need an initial kick to get the motor powered up, then all you’ll need to do is control the electronic throttle on the right handlebar to maintain a speed that suits you. 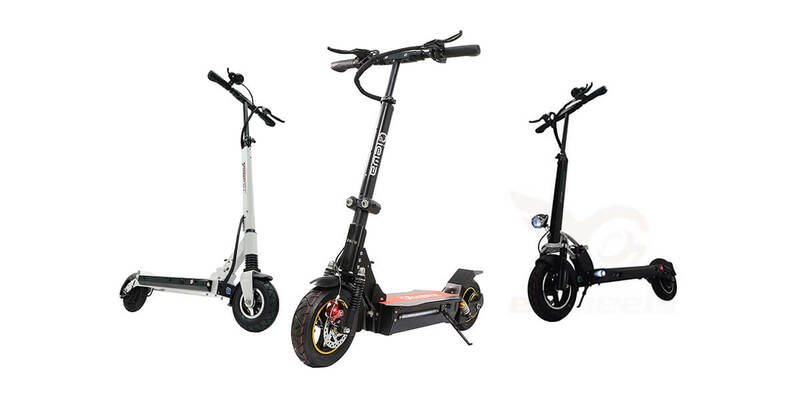 Segway have provided three riding modes, each one with a higher top speed than the last. Sport mode – I’d use this mode if I was going up steep hills or travelling off road, and takes you to a 15.5 mph (25 km/h) top speed. 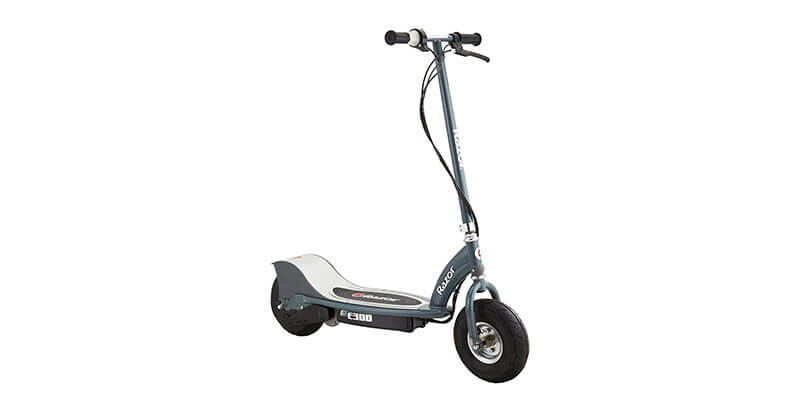 The handlebars are comfortable and make it easy to maneuver the scooter, and the tires work impressively well over flat ground, grass or gravel. Segway have said that the scooter can get up a gradient of 10%, it did manage to get me up a steep hill but I took it to sports mode to maintain a high speed. The headlight is very bright and rid me of my worries of being visible at night, any driver or pedestrian will see you coming from a long way off. The ambient lighting is also a nice touch, the app allows you to control what colours and patterns appear on your deck, and it’s even more hypnotising at night time. The scooter has a solid 15 mile range, and this can be taken up to 28 miles with the additional battery pack! I haven’t experienced this though as the additional battery pack is sold separately for the ES2. 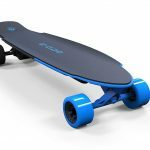 The lithium-ion battery provides 15.5 mph top speed, and this can be taken to 18.6 mph (30 km/h) with the additional battery pack, however 15.5 mph felt plenty fast enough for me. Features – The ES2 has a great range of features, namely the additional battery pack that’ll essentially double your range and increase your top speed. Mobile App – I was pleasantly surprised with the app as I felt it added fun and ease of use to your experience. Good Range and Top Speed – Even without the additional battery pack I think this scooter packs a punch, both in terms of range and top speeds. 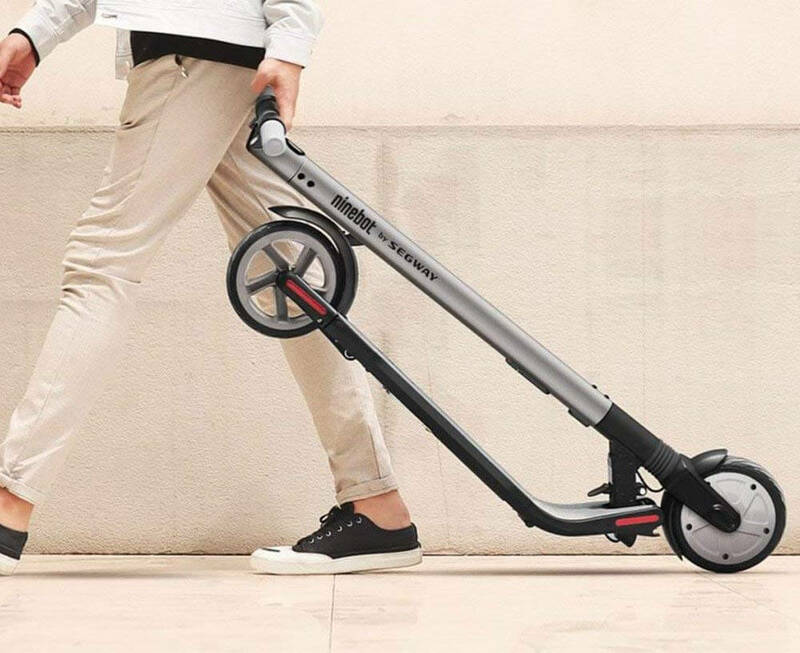 Gets Heavy – Though this scooter is lightweight and is advertised as such, don’t let that lead you to believe it can be carried anywhere, I’d keep it to short distances as it’ll start getting heavy after that and can be a little cumbersome. The Ninebot ES2 is a great addition to modern day city life. It’s ideal for weaving through traffic and can easily be folded and picked up to carry on the train or store in your office. With the battery being stored inside the neck of the scooter and the multiple riding modes, this is perfect for anyone looking for a commuter scooter. The additional battery pack is also an ideal purchase for that extra mile. 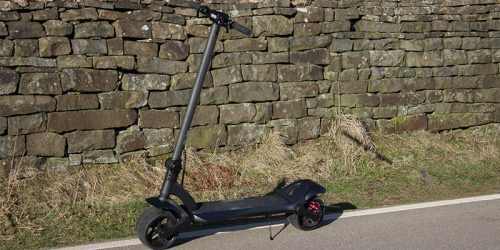 Overall I think Segway have done a fantastic job at producing a contemporary electric scooter at an affordable price.